Documenting the chilling effects of Censorship and repression of the Canadian Human Rights Commission. The blog is run by Marc Lemire, webmaster of the Freedomsite (http://www.freedomsite.org). May, 1992: Doug Christie speaks about freedom and how to secure and free and prosperous future in Canada by moving to our own community and leveraging the municipal infrastructure to protect and promote freedom. This would be creating a new community of freedom minded people, organizing under the "Newgate Project". Doug is introduced by legendary freedom activist Eileen Pressler. Tune in weekly to the FreedomSite YouTube channel for videos from my archive celebrating the life of Douglas Christie. For the next 20+ weeks I am going to post a new video each week which will include interviews, speeches, documentaries and other freedom inspiring material. Douglas Christie, The battling barrister and freedom of speech advocate demolishes the head of the Ontario "Human Rights" Commission, Dr Bhausaheb Ubale on the issue of Freedom of Speech and out of control "human rights" which are being used to silence critics and enforce their "guilty until proven innocent" mantra which forces Canadians to fight against the overwhelming power of the state to apply your rights to freedom. Doug Christie Speaks about freedom and Canadian censorship at "Open Space", Victoria BC on Nov 14 1985. With an introduction by David McCalden. [Nov 1 1995] Doug Christie Appears before the Supreme Court of Canada in the Malcolm Ross Case (representing freedom of speech and religion). 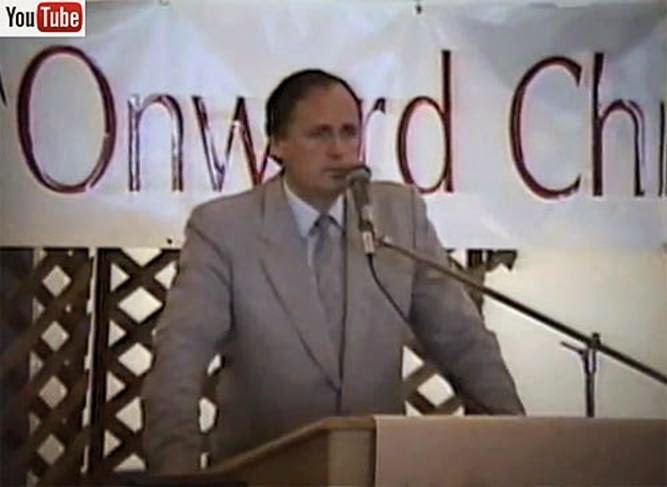 Malcolm Ross was a teacher in New Brunswick, but was dismissed from his position after the fanatical Human Rights Commission claimed he created a "poisoned environment" in the school due to his Christian beliefs, which he never taught in the classroom. Doug Christie makes an impassioned plea for freedom of speech and freedom of religion, only to be constantly interrupted by activist Judges, who can hardly conceal their contempt for freedom and religion. [Jan 29 1991] (Ottawa, Ontario). 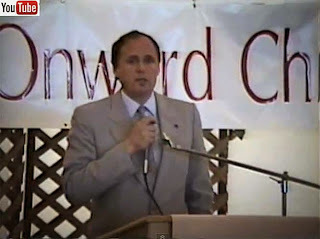 Doug Christie speaks about the dangers to freedom of speech in Canada. Doug highlights threats from the Canadian Human Rights Commissions and various Canadian political police forces. Marc Lemire is a certified computer systems engineer and human rights victim consultant based in Toronto. He is the webmaster of the Freedomsite, which is a resource of freedom oriented material, including the largest archive in Canada of information exposing the ravenous censorship of the Canadian Human Rights Commission. In 2006, Lemire won the "George Orwell Free Speech Award" for his courageous defence of freedom and open debate. In March 2008, the National Post Editorial Board called Lemire a "principled free-speech martyr". Lemire is a member of Canada's largest professional journalist organization. Marc has written three popular books entitled: * “In Defence of Freedom… Marc Lemire Vs. The Canadian ‘Human Rights’ Enforcers”, * “Challenging the Internet Censors” and; * “Hate Laws Debunked: Exposing the junk science behind ‘hate’ legislation”. Marc has written extensively on the notorious Section 13 of the Canadian "Human Rights" Act, Canada’s draconian internet thought control legislation. Are the Canadian Human Rights Commission / Tribunal a KANGAROO COURT?